Healthy, all natural, good for you food isn't just for people anymore! digitabloc teamed up with digitallykempt to deliver a dynamic, media rich website with a lot of interactivity. 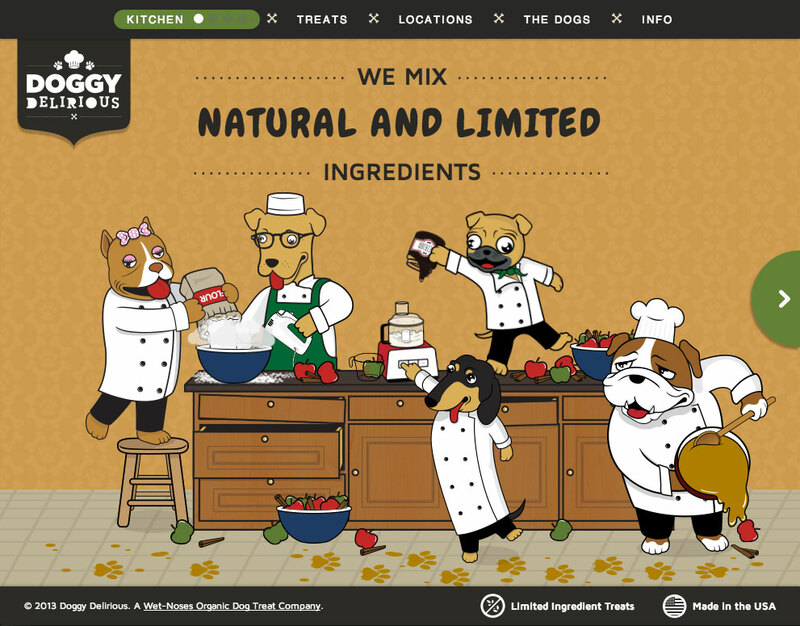 Utilizing the latest in CSS-based animations and a custom parallax script, users go through an animated story book of baking a dog treat of their choice, ending in the ability to purchase it right off the web site. 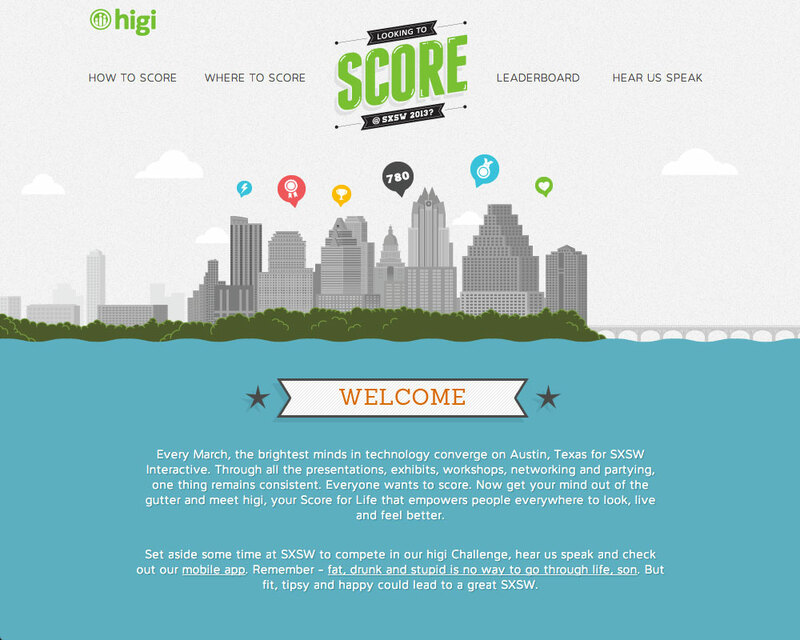 Chicago-based health score company needed a promotional site for the South by Southwest (SXSW) interactive conference. The site features a fully responsive layout, retina graphics, and an AJAX-based real time leaderboard. All designs were provided by in house designers. 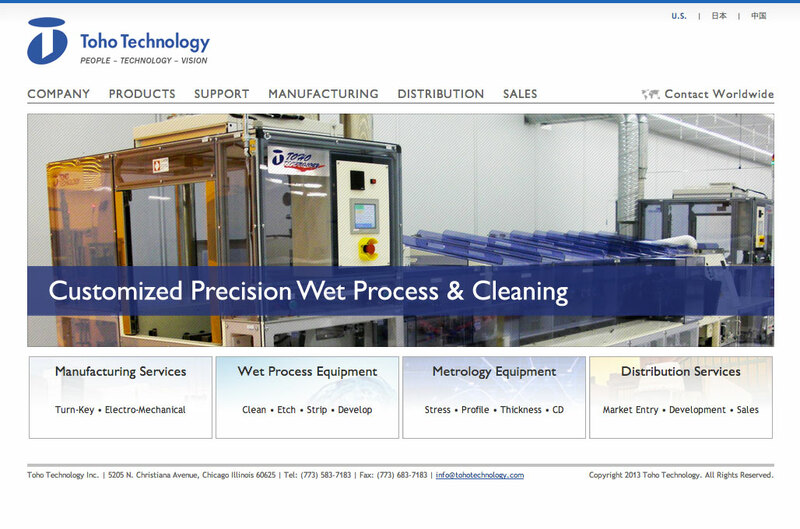 Toho Technology looked to digitalbloc to redesign their corporate portal as part of the modernization of their marketing materials. 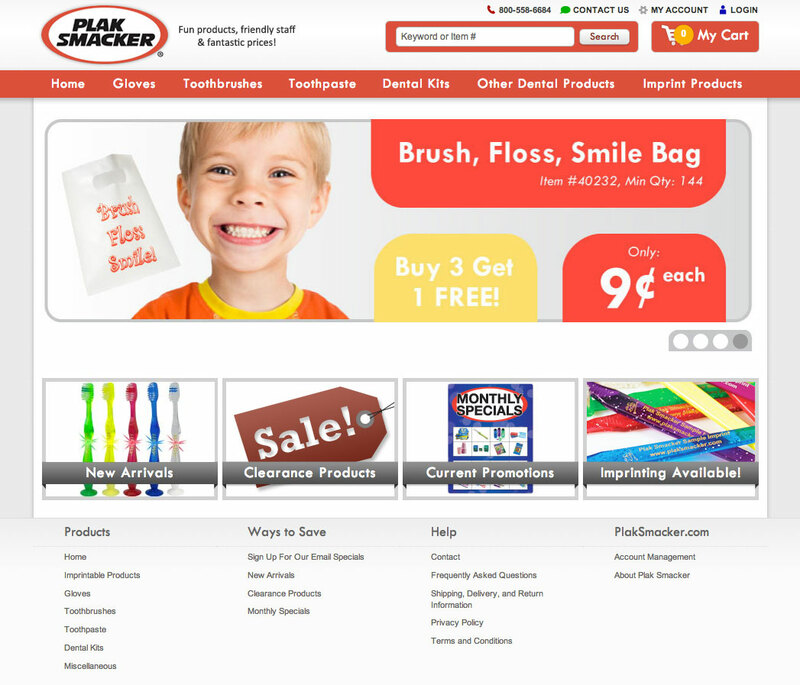 digitalbloc designed and developed the Plak Smacker site specifically for Magento. Features include an AJAX-based cart, optimized checkout system, 'daily deal' dynamic header, sticky drill down sub-menu, and integration with their Flash-based toothbrush customization program. Our managed AdWords campaign also brought in 10% of sales for new customers. 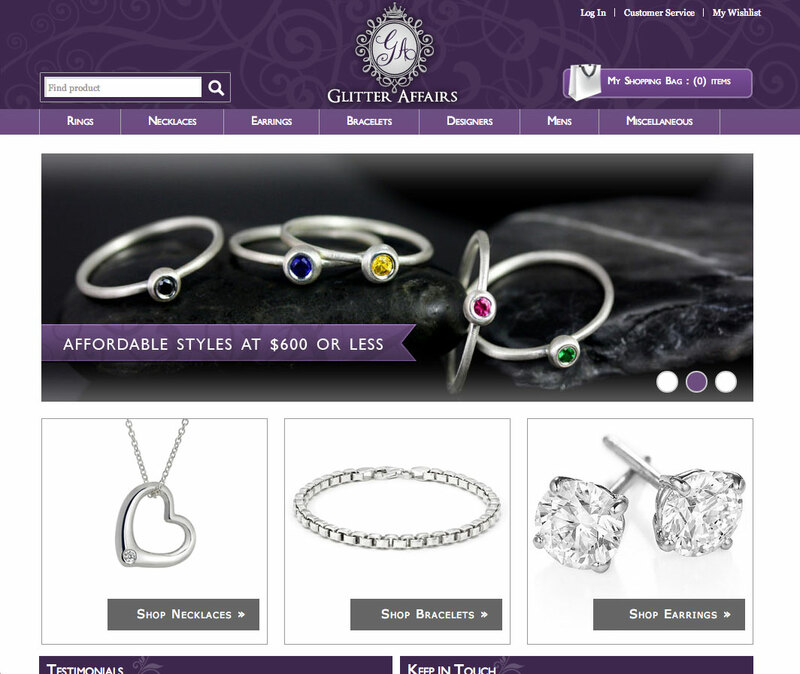 A Magento-based website built with the customer in mind, Glitter Affairs is a boutique offering top-class, affordable jewelry. The system we built allowed users are able to specify and customize their pieces down to the size, gem, material, and style. Young Dental's marketing site was created as a promotional piece for Susan G. Komen for the Cure. It features a supplier-based order form and a survey that users could take to receive a recommended prophylaxis angle based on their most common professional use. The birth of any great creation begins with an idea and a philosophy. Your business is unique, and your website should be, too. We'll immerse ourselves in your culture and ideals to deliver an amazing site that truly speaks in your voice. Purpose – the cornerstone of good design. Together, we'll decide on a plan that best achieves your goals. Whether it be the golden fanfare of your company's arrival on the web, or a complete ecommerce store to be the bloodline of your company, our expertise allows us the flexibility to meet your technical demands every step of the way. We'll launch your project and watch it thrive. The reception you'll receive is praise enough for us. Our relationship doesn't end there, though. We're your partners on the web, and we'll support you as long as you need. At digitalbloc, we'll translate all the techno jargon for you into nice, plain English when we work together on your project so you'll know exactly what you're getting. Not sure where to start? Perfect, we'll walk you through every step. Know exactly what you want? No problem, just give us your technical requirements and we'll get it done. We promise to make it look really awesome, too! Hover over the icons below and find out what we can do for you. Content Management Systems allow you to modify the content of a website in an easy-to-use framework. It's kind of like checking your email: just log in and change any page on your website. WordPress, the current king of the CMS's, is extremely customizable and has tons of outside developer support. With WordPress, you'll know that once we finish developing your website, you'll be in full control of all the text, photos, and media that shows up. It's perfect for those that want to emphasize dynamic content without sacrificing design. Selling things online is as easy as making a post on eBay, but for the more established business, having your own shop can have major advantages. Being able to control things like promotions, shipping prices, marketing emails, and customization of products is the bread and butter for many stores. We develop for Magento, the de facto standard for e-commerce, so that you can spend more time selling your products and less time managing unwieldy stores. A happy customer is one that spends, and we'll design your Magento store to be a fun and easy experience so you'll get the sales you want. If you have a website and need to get it out there, there's the organic way (search engine optimization) or the paid ads way (search engine marketing). With Google AdWords, we'll get your website the top ad spots in the most effective way possible. By employing advanced techniques like A/B and multivariate testing, dynamic keyword insertion, conversion tracking and more, rest assured that we'll deliver the best results without costing you an arm and a leg. If you've made it this far, hopefully we've done something right. Go ahead, drop us a line. What are you waiting for? Consultations are free, and we'll get back to you by the next business day. Or you could send us a haiku. Haiku's are neat.